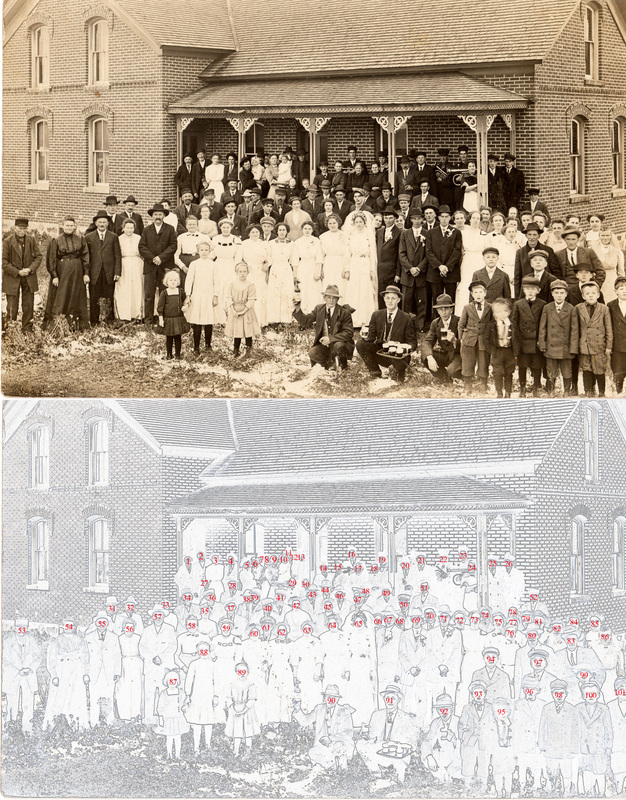 This photo shows the wedding of Albert Garske and Ella Baumann taken on Oct 4, 1919 at the Baumann homestead in the Town of Berlin, located at 14656 Berlin Lane, Merrill, WI 54452. He assures me that the incredible brick home in the photo is still standing, so I really want to see it the next time I go up to Wausau. I thought it would be a fun project to see how many people we could name in the photograph. My plan was to create an enumerated “ghost image” (seen above), print both of them out in a large format, then put it up in the Pommerscher Verein so that the older members of the community could help with the identification. I’m pretty sure Jim Strehlow could name half these people by himself, though. He’s amazing when it comes to names in these photos! 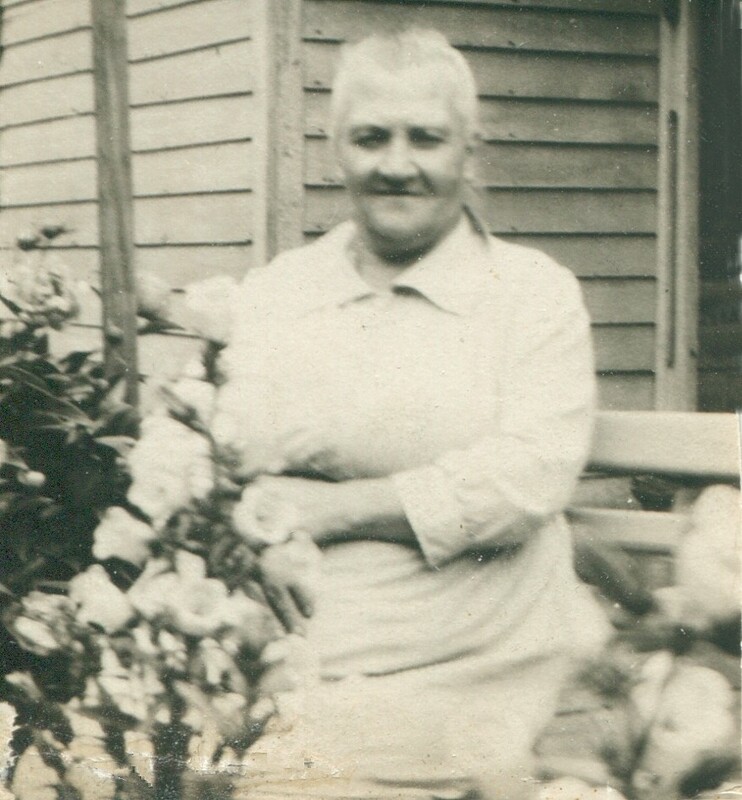 My great-great-grandmother Annie E. Prescott Duff (1847 – 1930) married my great-great-grandfather John Forrest and became the matriarch of a rather powerful and rich family from Halifax Nova Scotia. I knew that Annie’s mother was Jane Elizabeth Fairbanks, whose family I have written about before. I have traced them back to the 1630’s in Massachusetts and they have a website dedicated to them. Annie’s father and his family, however, were something of an enigma. Until now. 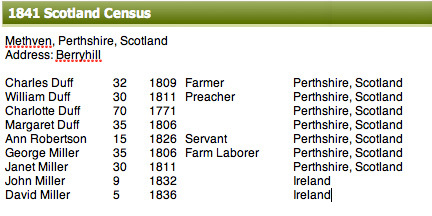 My 3x great-grandfather William Duff was born 15 Sept 1808 on Berryhill Farm (also known as “Berryhill Tullybeagles”) in the parish of Methven, county of Perthshire, Scotland. He was baptized on 10 Oct 1808, per parish records. 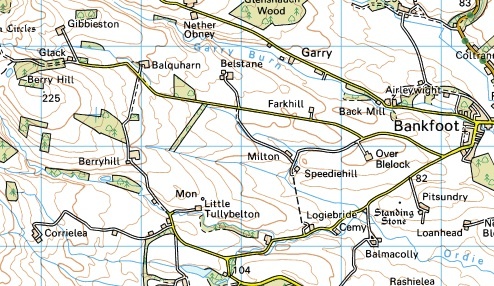 Berryhill is located at 56.507472N Latitude and 3.605261W Longitude in Scotland near the towns of Perth and Bankfoot. Berryhill is visible on the left side of this map. It’s about three miles west of Bankfoot, Scotland. The farm had been in the family since at least the 1680’s according to family lore. It was leased by the Duff family for generations from the “Honorable Baroness Keith”, Margaret Mercer Elphinstone, heiress of Meikleour and Aldie, daughter of Baron Keith (Sir George Keith Elphinstone). She became “Baroness Keith” upon her father’s death in 1823 [per “Historic scenes in Perthshire” by William Marshall, pages 191-192]. The “Honorable Baroness Keith”, Margaret Mercer Elphinstone. The earliest records discovered so far indicate that John Duff and his son Charles Duff paid rent on the farm in the 1730’s. From Charles, the farm passed to his son James Duff Sr., and then to William Duff Sr, who was the father of Reverend Duff. 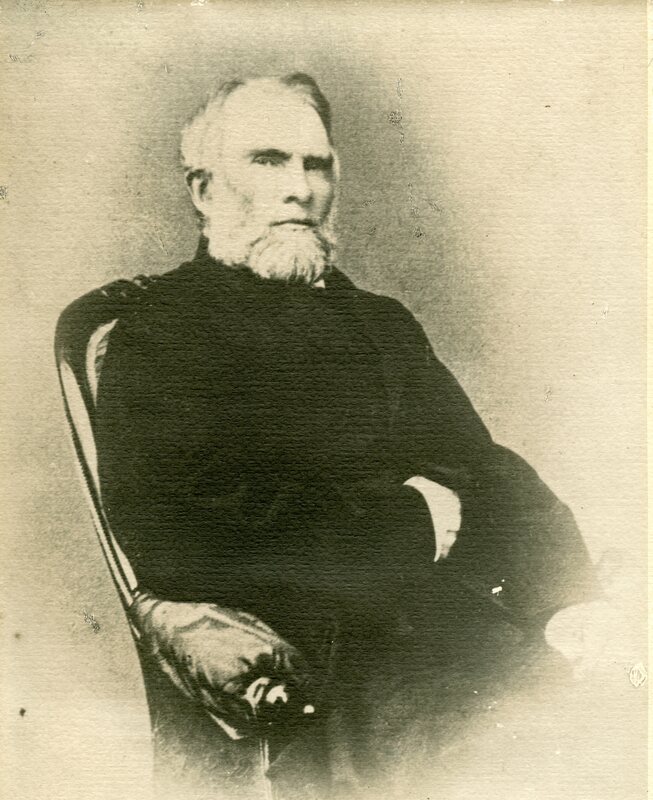 Portrait of William Duff Sr., courtesy of Sean and Ann Collins. At the time of his father’s death, young William had four sisters: Jean Duff, Marion “May” Duff, Margaret Duff, Charlotte Duff… and two brothers, Charles and Robert. All the siblings were born between 1800 and 1810 at Berryhill. There was also an older brother, James, who was born in April of 1800, but he died in May of 1818 and so was not mentioned in William Sr’s will. In 1836 the Berryhill farm comprised 1,456 acres, and had 13 milk cows, 28 young cattle, 11 young calves, 1 bull, 8 work horses, 5 young horses (two lame), and 940 sheep, along with various harvested crops and farming implements. With 940 sheep, it was a rather large operation, and apparently fairly lucrative. There were various farmhands and their families who lived at Berryhill as well. In the 1851 census the staff of Berryhill included a dairymaid, a house maid, and a nursery maid in addition to the family itself. William Jr’s brother Charles was following in his father’s footsteps and being groomed to take over the family farm. William’s sister Jean Duff married Thomas Kilgour, a farmer living on Westwood farm in the same parish of Auchtergaven, Perthshire. May Duff married a man named William Richie, an “officer of excise” [basically a tax collector] who, unfortunately, died in 1831. At the time of her father’s death she was a widow. May and William had seven children, four of which died in childhood. 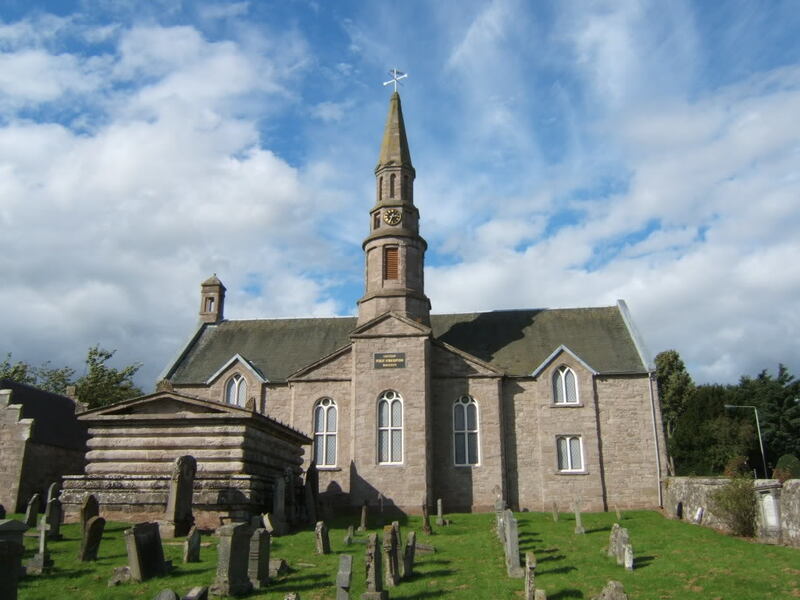 William Jr. was educated at Perth High School and then, from 1824-1828, he attended the United College of the prestigious University of St. Andrew’s [Founded in the year 1413] in Saint Andrews, Orkney, Scotland. He did his post-graduate work from 1828-1832 at St. Mary’s College (a division of St. Andrew’s) and graduated with a degree in Arts and Divinity. That I, William Duff, tenant at Berryhill, considering the propriety of setting my affairs in such a manner as to prevent disputes after my death… do therefore [decree] that my said trustees shall, from the produce of my means and estate, pay all my just and lawful debts, sickbed, and funeral expenses, that my trustees shall immediately after my death convey over to my son Charles Duff the current lease of the Farm of Berryhill, occupied by me under the Honorable Baroness Keith… subject always to the burden of the payment of thirty pounds sterling yearly to Charlotte Nicoll or Duff, my spouse, and to my daughters who may be unmarried at the time of my death… and likewise subject to the burden of a residence upon said farm in favor of my said wife and daughters… free of rent or any other consideration during the remaining years of the lease of said farm after my death. At the expiry of said lease my trustees shall lay out and invest the sum of four hundred pounds sterling [the interest from this investment to be given to my wife] during all the days of her natural life, and at her death the principal to be divided amongst my whole children. My trustees shall [also] have power to pay from the capital whatever sums my wife may stand in need of. I direct my trustees at the first term of Whitsunday or Martinmas that shall happen after my death to pay to each of my daughters May Richie, widow of William Richie, officer of excise, and to Mrs. Jean Duff or Kilgour, spouse of Thomas Kilgour tenant in Westwood, the sum of one hundred pounds sterling. The remainder of my estate [shall be] divided and apportioned amongst my three sons, Robert, Charles, and William, and my two daughters Charlotte and Margaret as follows: each of my said sons to get double the amount of each of their said sisters [..] but declaring that in the event of my said son William being presented to a permanent living in the church previous to my death or before my succession shall open to my children, then said trustees [shall] pay him the sum of three hundred and fifty pounds sterling in lieu of a share of my estate, which sum of three hundred and fifty pounds together with the expense which I have incurred in educating him for the church and in his maintenance and support I consider to be a just and fair share of my estate. In the event of my unmarried daughters or any of them being married previous to my death, then such daughter or daughters shall not be entitled to share in the residue before provided to them, but in lieu of such share [they] shall be entitled to the sum of one hundred pounds sterling each, in other words, to put them on the same footing as my married daughters. In witness whereof by me the said William Duff at Berryhill Tullybeagles the twenty third day of February, Eighteen hundred and thirty six before these witnesses, Andrew Dunn and James Robertson, both Farm servants at Berryhill, it being hereby declared before signing that if at the time of my death my son William should not have been presented to a living in the church he shall have a free residence upon the Farm of Berryhill in conjunction with my wife and daughters during the currency of the then-exisiting lease. <signed> Willm Duff, Andrew Dunn witness, James Robertson, witness. William Duff Sr. died two months later on April 11, 1836. Methven Parish Church, built in 1783. Two years later, in 1843, for reasons not yet known (perhaps under church orders? 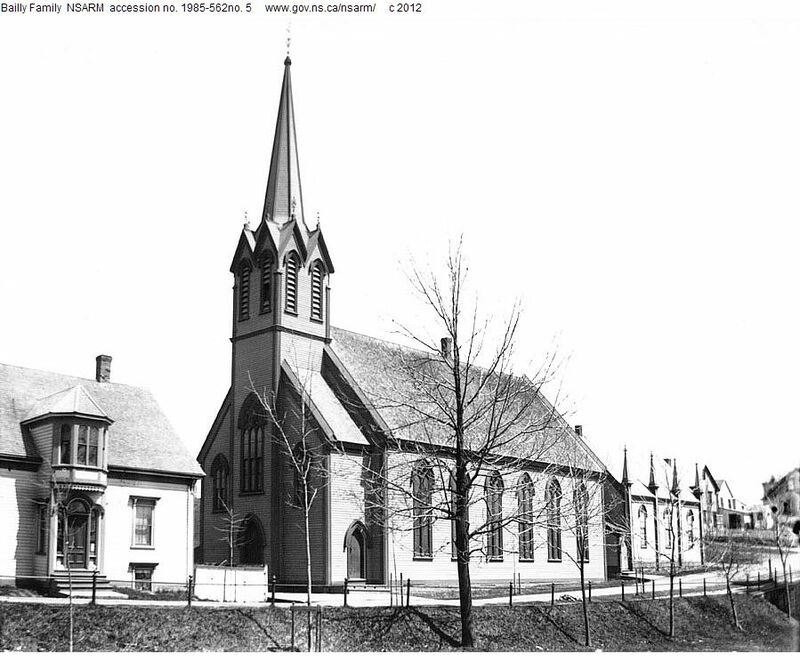 ), William, now “Reverend William Duff”, left Perthshire and arrived in Lunenburg, Nova Scotia, Canada. He became the minister at Lunenberg’s “St. Andrew’s Presbyterian Church”, a post he would hold for almost four decades. For many years he was the only Presbyterian minister in the county. His charge embraced a field now occupied by five ministers. He laboured with great diligence, and the condition of Presbyterianism in the country today is largely the fruit of his labours. His field was a hard one, and involved much travel and exposure, and the support given by the people was in those days very meagre; but Mr. Duff was never known to complain either of hardship or of poor pay. A more tender-hearted, pure-minded, devout, self-sacrificing and faithful man never adorned the ministry of our church. About 1847, Rev. 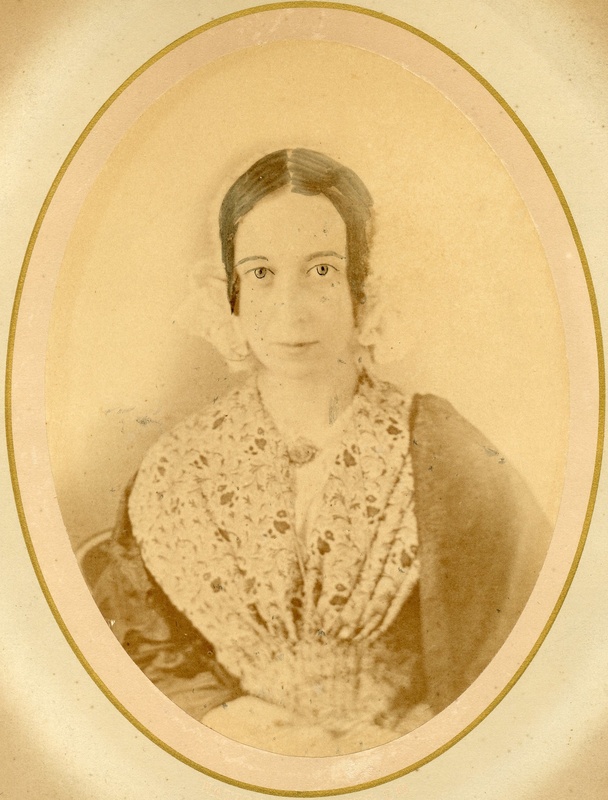 Duff married Jane Elizabeth Fairbanks (1823-1871), daughter of the successful Halifax merchant John Eleazer Fairbanks and his wife Anne “Nancy” Prescott. Both families were venerable New England tribes with deep roots in the Americas. William and Jane settled down on a large estate called “Braco” in the town of Lunenburg, Nova Scotia. 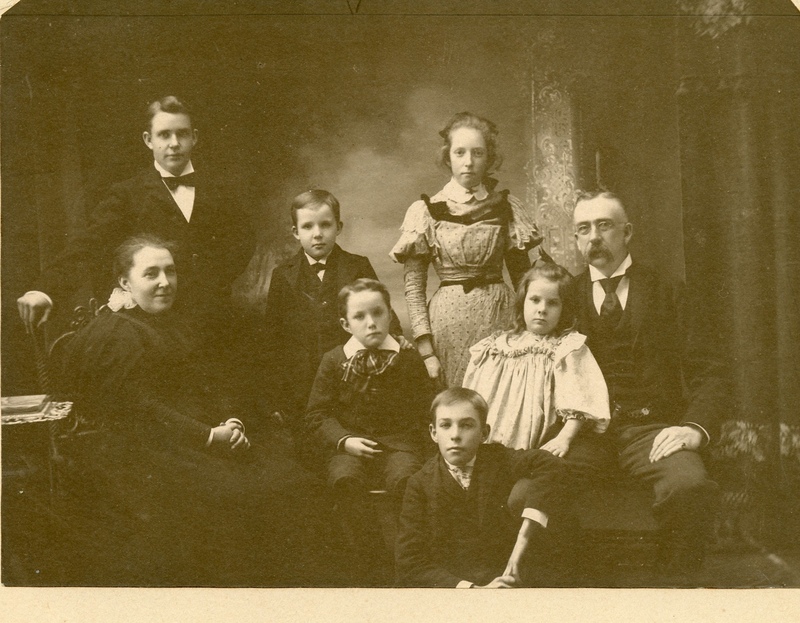 Jane had been born in Dartmouth, Halifax, Nova Scotia (about 60 miles up the coast from Lunenburg), and they had five children who survived into adulthood: Annie E. Prescott Duff (1847-1930), William Menzies Duff (1849-1920) [One of the Trustees of William’s father’s estate was William Menzies, so he may have been a close friend of the family. ], Kenneth Kilgour Duff (1852-1925) [As noted before, William’s sister Jean married Thomas Kilgour. ], Margaret Charlotte “Maggie” Duff (1853-1929), and Isabella Charlotte “Bella” Duff (1854-1951). There were two other children who died in infancy: Kenneth Kilgour Duff I (born about 1850) and John Fairbanks Duff (born about 1855), who are buried in the family plot in Lunenburg. Annie, as previously noted, married John Forrest, an influential Presbyterian minister (just like her Father) from Halifax, and they had five children. William Menzies Duff was a merchant and accountant in Bridgewater, Nova Scotia. He married Harriet Elizabeth Hunter on 6 Mar, 1877 and they had six children. According to family legend, Kenneth went to the Klondike to look for gold, but contracted “brain fever”, and returned to Braco to become a farmer. He lived with his sisters Bella and Maggie and none of the three ever married or had any children. 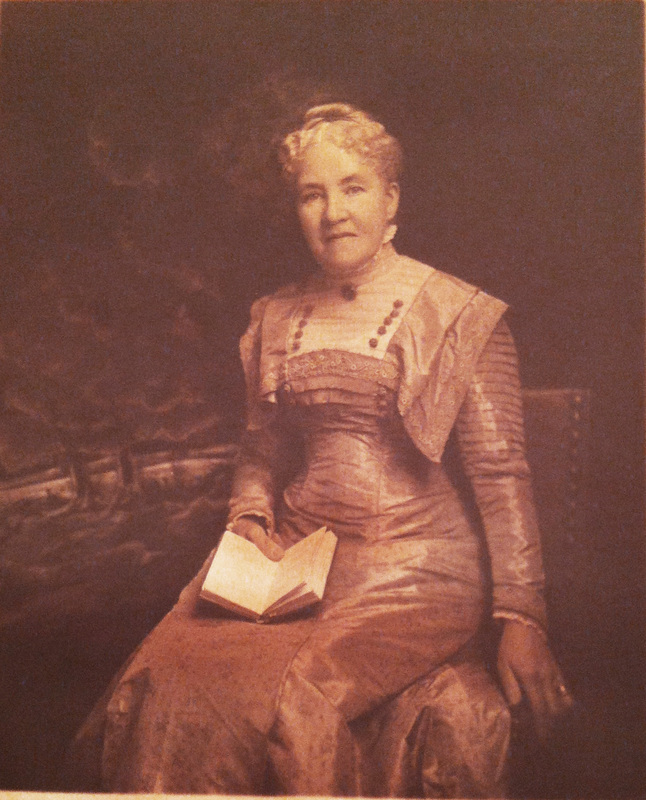 Jane Fairbanks wrote often to her cousin Mary Martha Fairbanks, and many letters in her hand survive which were written in the last year of her life. Jane died 31 Aug 1856 in Lunenburg at the age of only 32. Her husband is listed as a widower in the 1871 census for Lunenburg. Rev. Duff was left with five children under the age of 10, and he was helped in raising them by his sister-in-law, Annie Fairbanks. After almost 40 years of ministering to the congregation of St. Andrews in Lunenberg, Rev. Duff retired sometime about 1880, and passed away on May 5, 1888 at the age of about 78 years. The privateering business was pre-eminently one of uncertainty and hazard ; strikingly varied with quick success and sudden reverse. 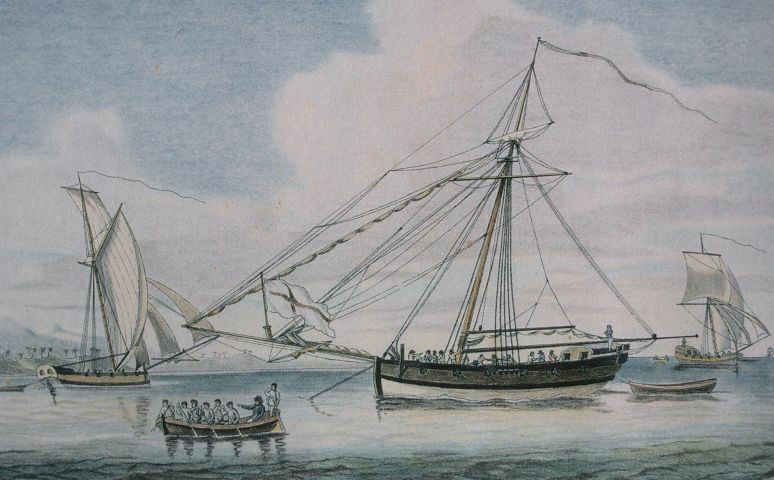 Most of the adventurers from Norwich and New London were captured, imprisoned and exchanged during the war, and some of them more than once ; for no sooner were they released from bonds than they were ready for another chance, —acting ever upon the obstinate principle of up and at them again. He was actually my great-great grand uncle. Brother to my great-great-grandfather Horace Luther Thomas. He shared my name, Charles Thomas, although his middle initial was W… I’m guessing it was for Warren, since his younger brother was named Warren Thomas. 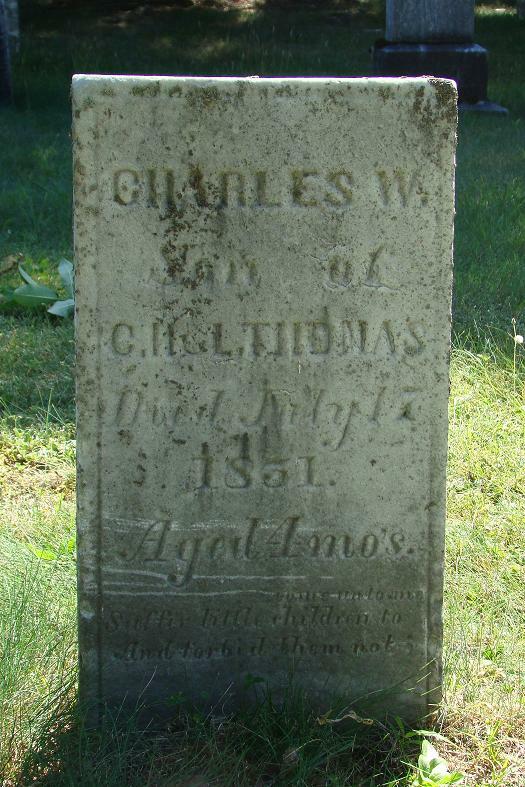 I did find a burial record for Charles W. Thomas, four month old son of Charles H. and L. Thomas dated July 17, 1851. Apparently Caroline’s brother lost an infant son. He is buried in West Side Cemetery in Burke. We can see Charles H. Thomas and his wife Louisa “Lois” Pond. After that is my grandfather Horace, his sister Louisa, and then Charles Thomas, age 4 months, which puts his birthdate about March of 1850. Unless he was a time-traveller, it’s not likely he died at four months of age on July 17 of 1851. 1) The family had two sons, both of which died young. 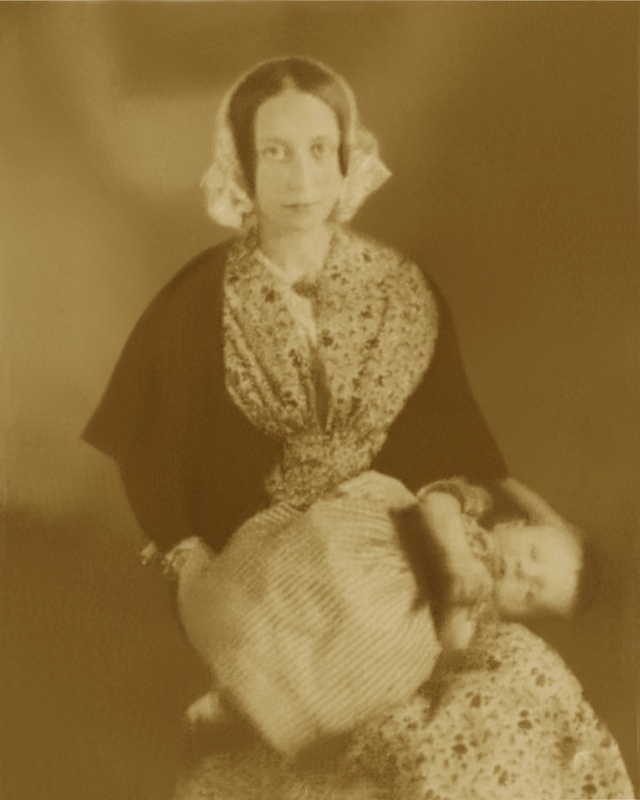 If a 4-month-old child died July 17 1851, Lois would have to have given birth in March, 1851, which means she would have had to have conceived about June of 1850. The Charles from the census was born in March 1850. It’s possible she conceived in June, 1850, was 1 month pregnant at the time of the census, that the first Charles died before she gave birth, then when she gave birth to another son in March, 1851 they named it Charles also, and then it died in infancy at four months of age in July, 1851. Possible. 2) The burial record and tombstone are wrong and the child was actually 1 year and four months old, or they got the year wrong and it should say 1850, not 1851. However implausible #1 above seems, this seems perhaps more unlikely… that grieving parents would go to the graveyard and be ok with a tombstone with the wrong information on it? I’m not sure that makes sense. And it certainly doesn’t make a lot of sense that a gravestone carver would put the year 1851 on a stone he was carving IN THE YEAR 1850. I think the only thing to do is to look for baptism records. The Burke Methodist Church may have them, so I’ll try calling them today. I’m going to put my money on two infants, two deaths, three boys named Charles Thomas. Family research is strange. A family is vast. Unless you do family research too, you probably honestly don’t have any idea how vast a family is. There’s the simple mathematics of it. Two parents, four grandparents, eight great-parents, etc. To get back to the original immigrants to this country on my father’s side of the family, it’s often been 12 generations. That’s 4096 ancestors at that level. That’s just the people who are directly related to you. It doesn’t include the children at every level who aren’t directly your ancestors, but are still related to you. Nor does it include the families of those people who marry into the family. Vast. To do it justice you’re probably easily talking 20,000 people. Each of those 20,000 people has a story. They were born. Sometimes that was just about it, sadly. But usually they grew up somewhere, they got married, they had some kids, they accomplished some things, then they got older and eventually passed away and were buried. In between, if you’re lucky, they left some evidence behind that lets you get to know them. Where they were. Who they were. So the point is that you start to know certain “pockets” of these people. Especially those of the closer generations. There seems to be some kind of mental barrier that goes along with the 3x great grandparents (great-great-great-grandparents). Anything older than that doesn’t feel as… “connected” usually. 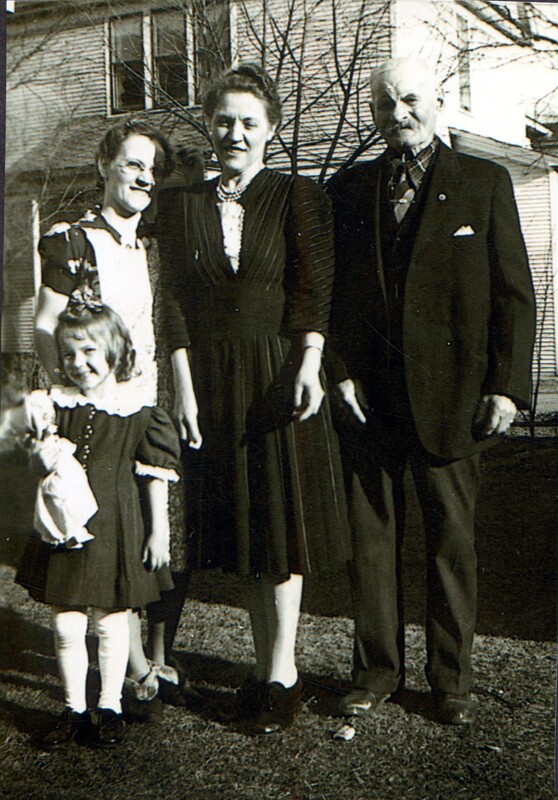 I mean… I KNEW some of my great grandparents. My 2x great grandparents were just their parents. That feels close. And the 3x? Well, they’re the sea foam from which those 2x great grandparents sprang. And I love them all. I really do. I love the Schmidts, and the Thomases, and the Zierkes… the Cairns family, the Forrests, the Kamraths, and the McWhirters, the Cliffords, the Ponds. All of them. I love the Strehlows and they’re only related to me by marriage! There are so many families, truly different like snowflakes, yet strangely similar too. And there are the Kruegers. My mother’s father’s family. Oh, I love them dearly too. They are Pomeranians who came to Wausau, Wisconsin in the 1880’s to escape the Kaiser’s war and crushing poverty. And they built a life for themselves and their families. And their descendant, my grandfather Lloyd Krueger, went to college and became an architect. And I knew him. And he knew Heinrich Friedrich Wilhelm Krueger. The first of the Krueger family to come to America. He stowed away aboard a ship to come here, as I’ve outlined before. And my grandfather also knew Bertha Augusta Wilhelmine Kamrath. 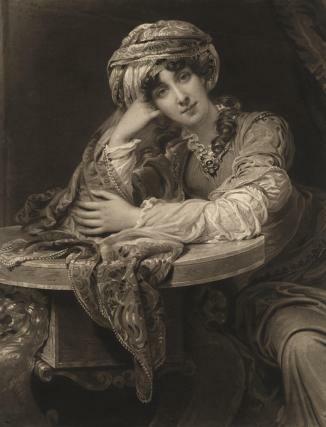 Henry’s wife. Four generations. The family always celebrated birthdays together. Taken either 15 May for Kay’s birthday or 1 April for Agnes’ birthday. If 1 April 1945 is correct, the family would be celebrating Agnes’ 50th birthday. Henry died 31 December that year. Photo courtesy of Henry’s granddaughter, Loris Voigt. Bertha and Henry’s son Arthur was killed in the last battle of WWI. Ironic that the son of a man who fled Prussia to escape the Kaiser’s wars was killed fighting the Kaiser’s troops. Arthur was killed in November of 1918, but we found out only recently that he wasn’t brought home to be buried until 1921. This photo is from just after his funeral. 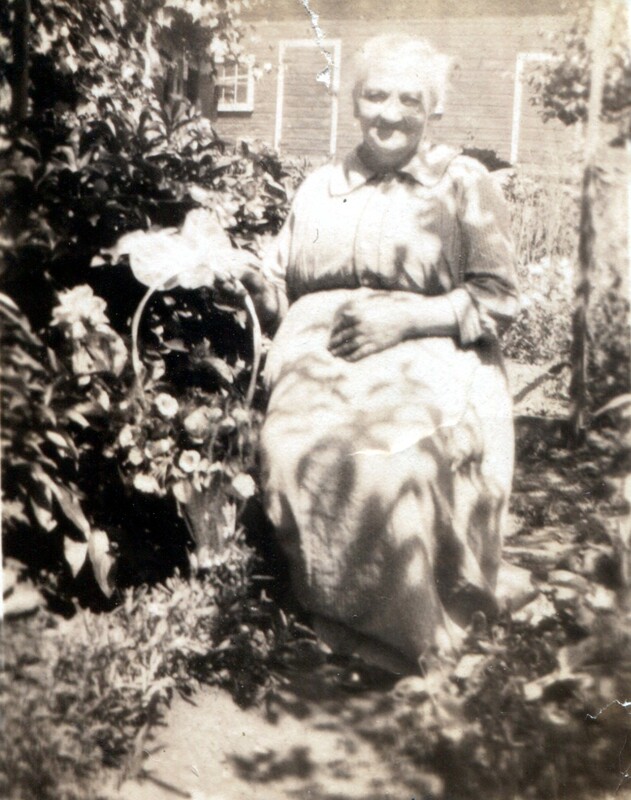 Bertha Krueger in her garden with the flowers from her son, Arthur’s funeral. The family barn is in the background. Photo and information courtesy of Loris Voigt. Three years after his death Arthur was reburied in Pine Grove Cemetery with the family holding a wake and service in their home. These were flowers from the service. The black wreath that Loris is holding may be the black mourning wreath that was hung on the door. Photo and information courtesy of Loris Voigt. Loris Voigt with flowers, 1921. 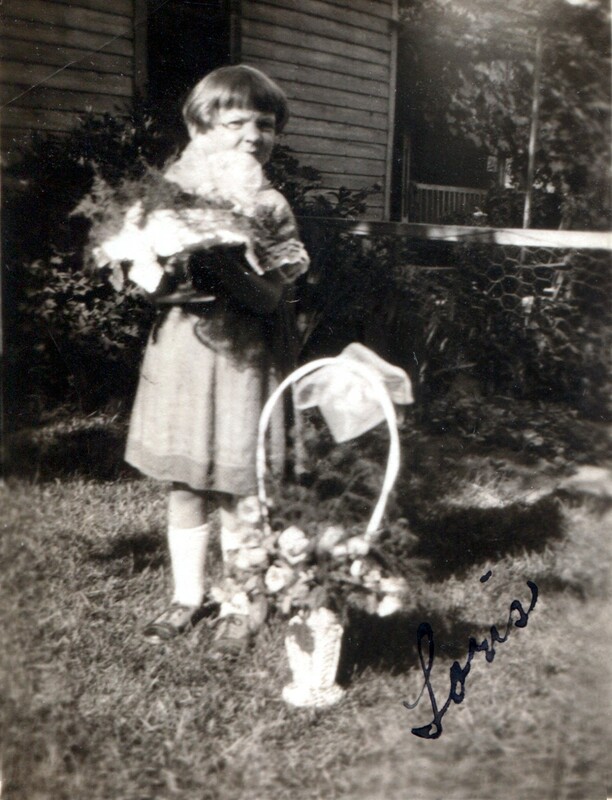 This last photo just says “Bertha in her garden.” She had lovely flowers and gardens behind the family home in Wausau.